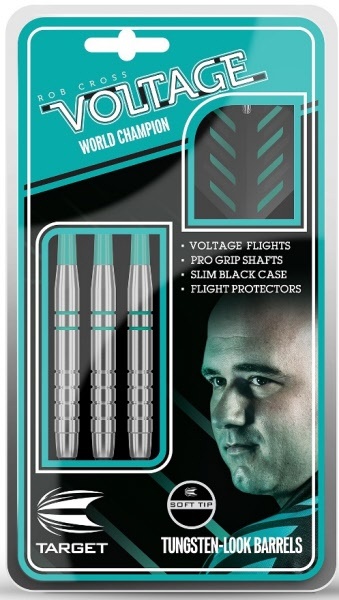 Target's Rob Cross has taken the darts world by a storm in his unprecedented debut season in PDC darts. 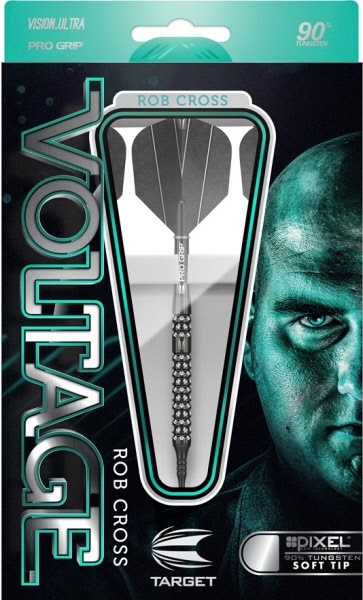 'Voltage' has been playing with these darts for quite some time, and now it's time for you to get your hands on them. 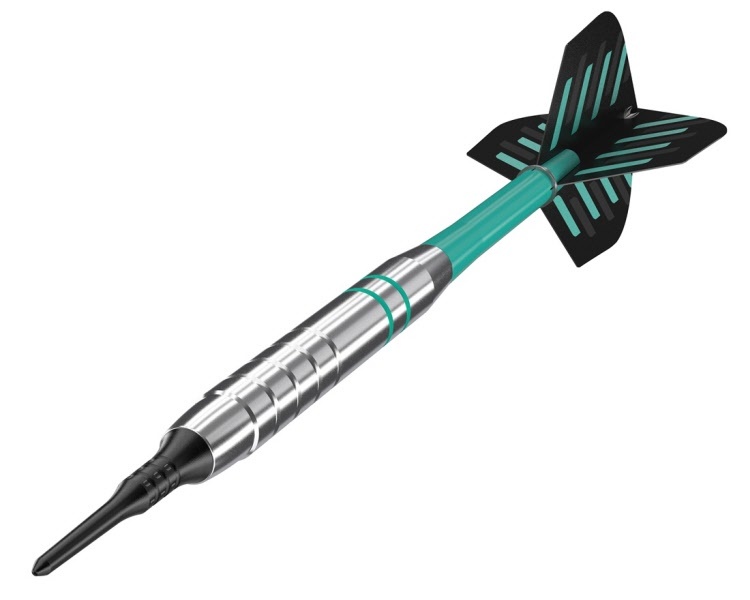 These 90% Tungsten darts are produced exactly to Robs specifications. Featuring Radial Grooves along the length and back, this 48mm slim barrel is ideal for those who prefer a shorter length. 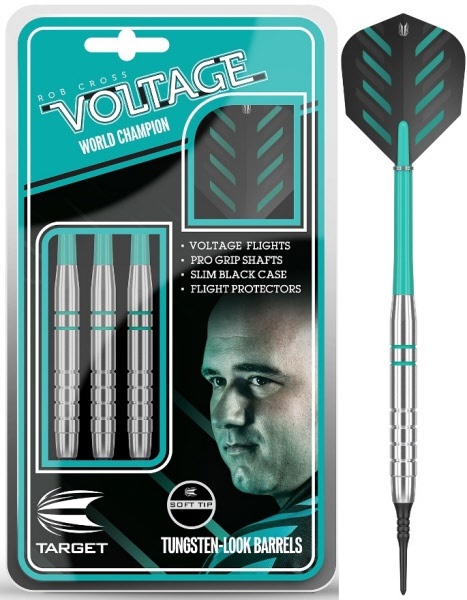 Complete with Intermediate Pro Grip white shaft, 32mm Standard Silver point and Vision Ultra NO6 flights. 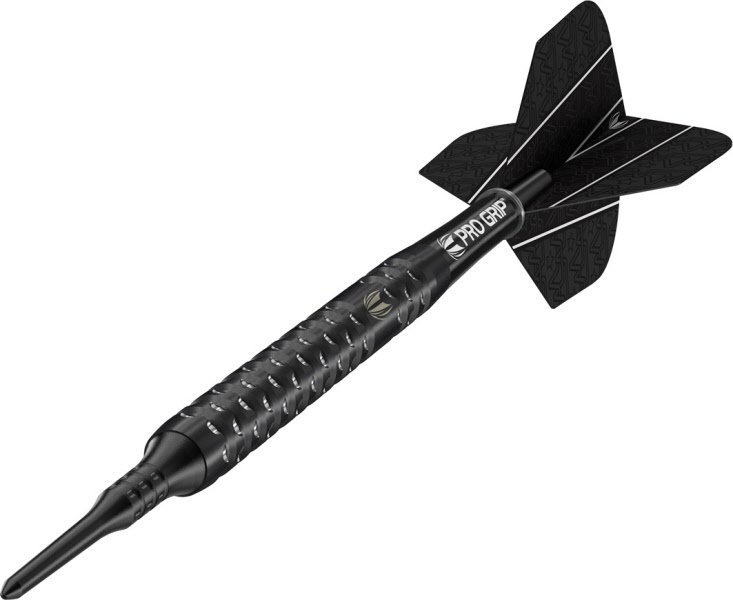 Endorsed by the 2018 World Champion, we are pleased to introduce Rob’s faultlessly designed 80% Tungsten Barrel. 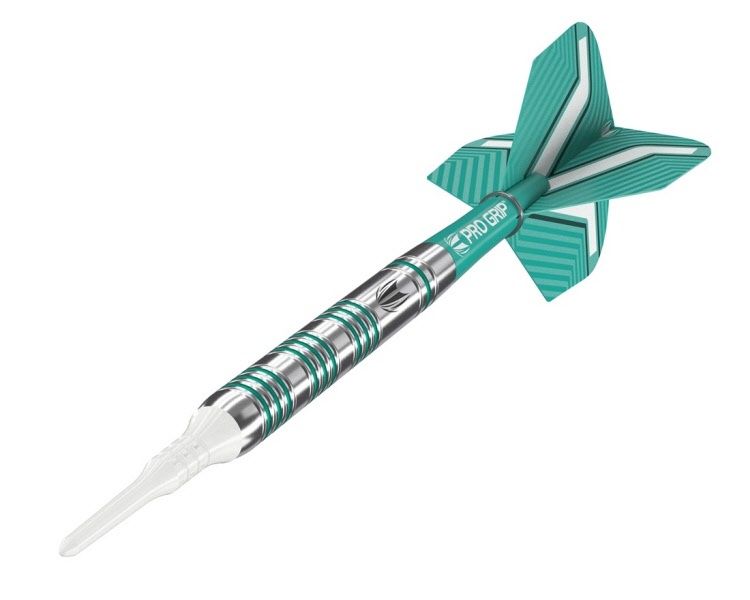 Featuring detailed, radial grooves, the barrel is highlighted with vivid ‘Voltage’ Aqua coloured ring sections, ensuring your dart will stand out from the rest. 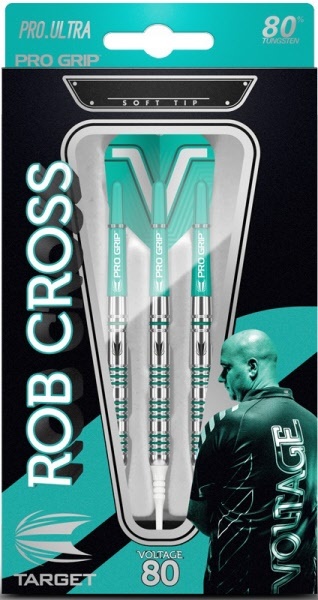 The Rob Cross 80% comes fitted with Pro Grip Aqua shaft, and Rob Cross flight. 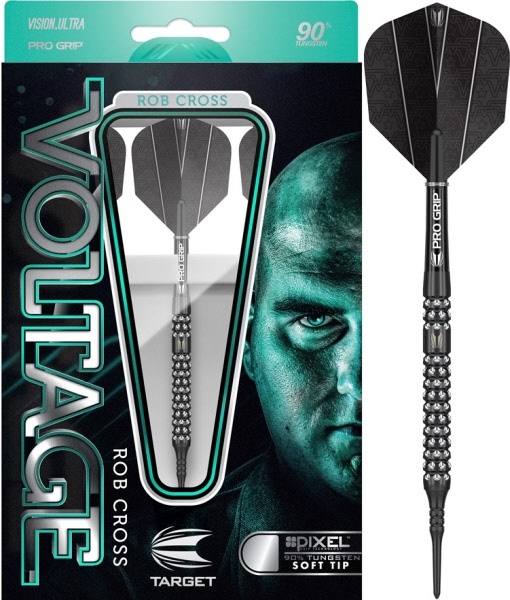 Rob Cross Black Pixel darts are endorsed by World Champion Rob 'Voltage' Cross. 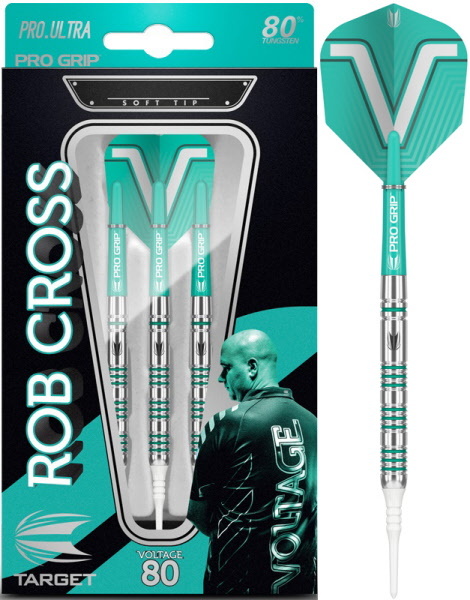 The barrel follows Rob's chosen barrel shape and dimensions however includes Target's intricate pixel grip technology which combines both axial and radial precision-milled cuts to produce a bi-directional grip which makes it ideal for those who prefer a more enhanced grip. 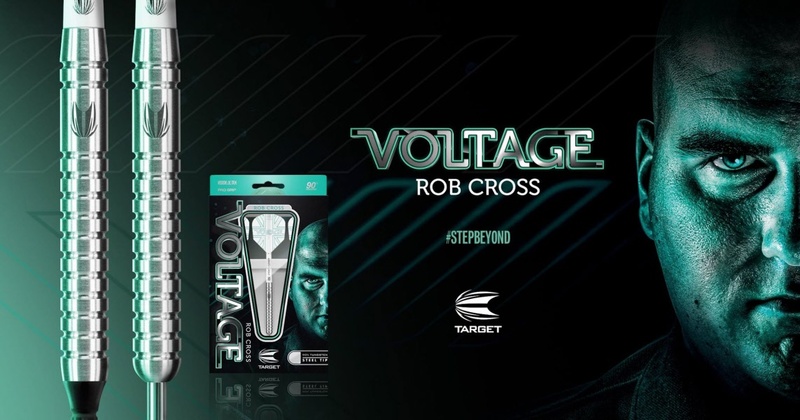 An entry level tungsten look dart for beginners or avid fans of 2018 World Champion – Rob ‘Voltage’ Cross.